schofield fcu now on social media! 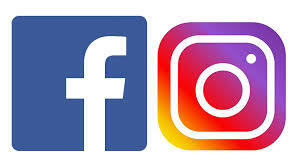 Stay connected to your credit union by following us in Facebook and Instagram. We’ll post updates on credit union events, special occasions and all our efforts to make an impact with our membership and in our community. We’ll also post helpful articles to educate and inform you of anything that may benefit your overall financial readiness and wellbeing. This will help us stay connected to you throughout the year and we hope that you’ll spread the word so that more of our families and friends can see and understand the special place we all know Schofield FCU to be! REMOTE CONTROL CARDS NOW AVAILABLE! What is Remote Control Cards? Remote Control Cards gives you the ability to lock and unlock your Debit Card with the Schofield FCU Mobile App. This added security feature allows you to control when your Debit Card is active to help prevent fraud or other unauthorized use. Just login to the SFCU Mobile App and select Remote Control Cards under the menu options. This feature also makes it easier for you to report your card if it becomes lost or stolen. Your security is important to us and this is just one more way to help you stay safe and in control in a digital world. We celebrated our 66th Annual Membership Meeting on Saturday, March 17, 2018 at the Honolulu Country Club. The business meeting noted the performance of the credit union as highlighted in the Chairman’s Report, Treasurer’s Report and Supervisory Committee Report. The two incumbents seeking re-election to the Board were re-elected by acclamation. A third Board member was also elected by acclamation to fulfill the remaining term of the departed seat previously held by Mr. Hank Pascua, who had served as a volunteer for 41 years. Mr. Pascua will be dearly missed as prayers were offered to the family. The invocation gave us a time to remember how truly blessed we are to be a part of the Schofield Federal Credit Union ohana. The night included great music that had many dancing and singing and lots of great prizes that included an Amazon Echo Show and a Hawaiian Airlines gift card. Thank you for all who attended and made this event a fun-filled success. ONLINE BANKING NEW LOOK AND E-STATEMENTS NOW AVAILABLE! We've updated our online banking look to be more user friendly and mobile friendly. You can easily access all your online banking needs through any device using a web browser, including your phone. Also, remember that our mobile App is available for download at the Apple store or Google Play. The App provides a streamlined user experience and has all the most commonly used features to meet your everyday banking needs. It's perfect when you're on the go. You can now also sign up for e-Statements. You get your statements faster, it's more secure than receiving your paper statements through the mail, and you're helping protect the environment by saving paper. You can register online through your online banking user profile settings or give us a call and we can assist you.